White-colored kitchens have dominated the scene for years, since many people appreciate the brightness, clean look and neutrality. However, grey shades have significantly spiked in popularity recently. If you aspire to create a kitchen that incorporates trendy and enduring elements, here are some prime reasons to implement grey kitchen cabinets. Out of the three neutral colors, grey tends to stick out as a bit of a wild card. White is positive and airy, while black is sophisticated and bold. People might sometimes associate grey with rainy days, but the truth is that it treads an appealing line between laid back and exciting. It can also bring a kitchen up to a level of luxury and anticipation that other schemes can't always achieve. You can push your inspired feelings one way or the other depending on the shade you choose, but grey goes beyond that in the sense that it offers a tremendous contrast to the different aspects of your kitchen. When paired with various colors of countertops and flooring, you will create an engaging and cohesive ambiance that dazzles your guests. Installing a new set of cabinets can be a stressful endeavor. Not only do you need to find the right undertone, the right design, and the right supplier, but you'll also likely want to make the entire process timely. For that, you won't find a place that offers those services quite like Wolf Home Products. Within our various cabinetry lines, we offer Quick Ship on many door styles that you'll receive within days, not weeks or months like some other manufacturers, which means you'll be able to complete your project sooner and enjoy your new kitchen. Dartmouth, Grey Stain: With this option, you can channel the Shaker style in a classic grey shade. Dartmouth, Pewter Paint: One of our newer paint options, Pewter channels a light yet bold look onto the popular Shaker style. This Dartmouth door is also now available with a five-piece drawer front. York, Grey Stain: We place our popular, widely accessible grey stain onto a cabinet style that represents more modern tastes. 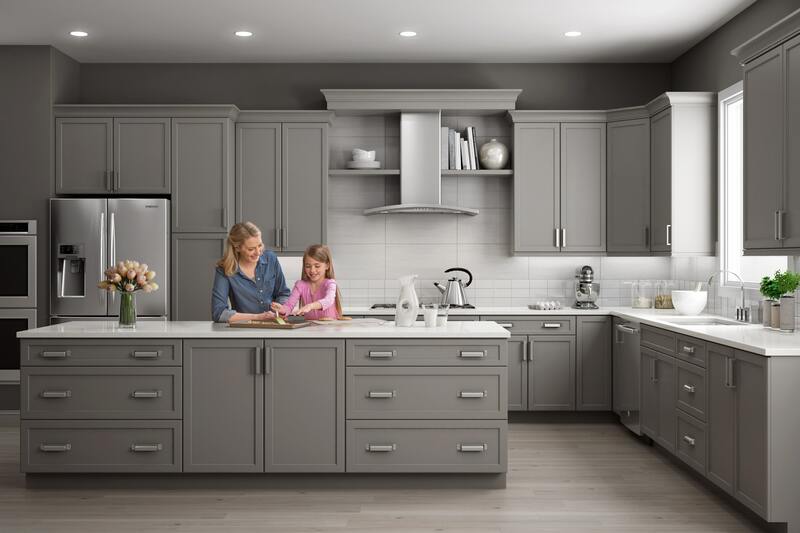 Livingston, Lunar SmartShield: Embody your contemporary style with charming, dark-grey cabinets that feature our SmartShield Technology, which resists stains. Livingston, Fossil SmartShield: If you want a contemporary style with a brighter appearance, Fossil SmartShield will deliver. 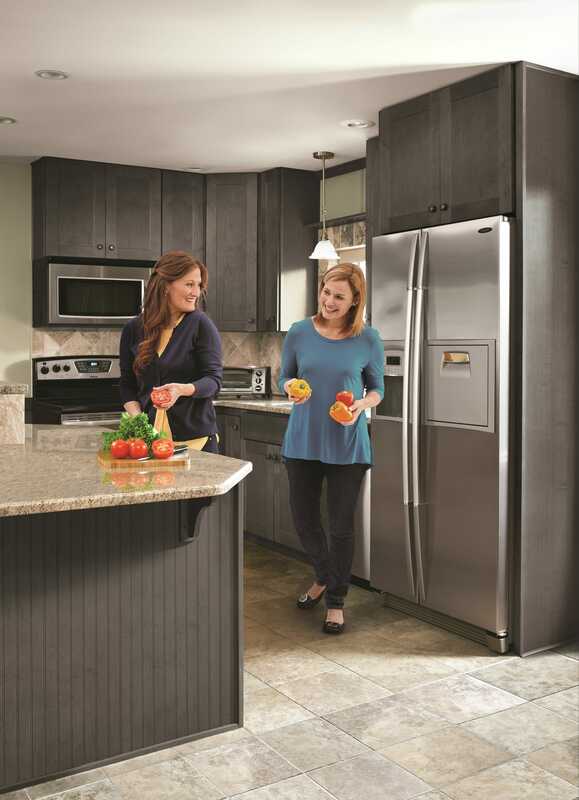 Wolf Home Products can help to equip your kitchen with the best grey cabinets for your design and budget. Contact a dealer in your area to see your options in-person today.